New diary date for #Meghanmarkle & #princeharry. Continuing their tour of UK, they’ll go to Edinburgh, Scotland on Tuesday 13 February. Visits include Edinburgh castle, a youth cafe & Social Bite which tackles homelessness. Prince Harry and Ms. Markle will visit Edinburgh on 13th February, where they will attend engagements at @edinburghcastle, local social enterprise @SocialBite_, and a reception celebrating youth achievement to mark Scottish Year of Young People at the Palace of Holyroodhouse. The sh*t show continues. It’s boring watching her act like a silly Hollywood star overwhelmed by her adoring fans and then shows her boredom and disinterest once she’s with the regular folks. How long will she crack under the endless boredom at meeting with regular people instead of hobnobbing with Harry’s celebrity friends and attending exclusive members only clubs. 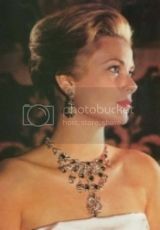 People are underwhelmed by her, even before the marriage, which says a lot. Their office contacted us out of the blue, saying Harry and Meghan wanted to visit during their time in the capital. Again, KP had to go begging for an invite. ^Wow! I'm floored. I don't even know how to respond to this. I have my 2cents on this. M's leak to EA was that they'll visit the castle and the gift shops... something right up M's delusional mind. But clearly somewhere up the ranks in brf they didn't really like the level of self-entitlement that M has - chasing away the homeless from her wedding venue so that the pictures don't get tainted with badly dressed plebs (so that there's no competition to the plebzilla), visiting the castles only - clearly very interested in the toddlers with tiaras but not the people and ....now meeting with the homeless in Edinburgh to rebuff the obvious disdain to poor and troubled people (like her own family). Average people here don't like her much. Can't say about the rest of the USA. Scotland? Not sure what they would think. There is that ongoing war with England and I hope they get their independence. But they seem okay with keeping the BRF. They may like the tacky American. Drops down the English a bit. An appearance before Valentine's Day so people can ask Megs and Hare what they will be doing on that day. Remember when Kate had an appearance on Valentine's Day, I think it was 2012, and a little boy asked her what did William give her and she said he sent flowers. 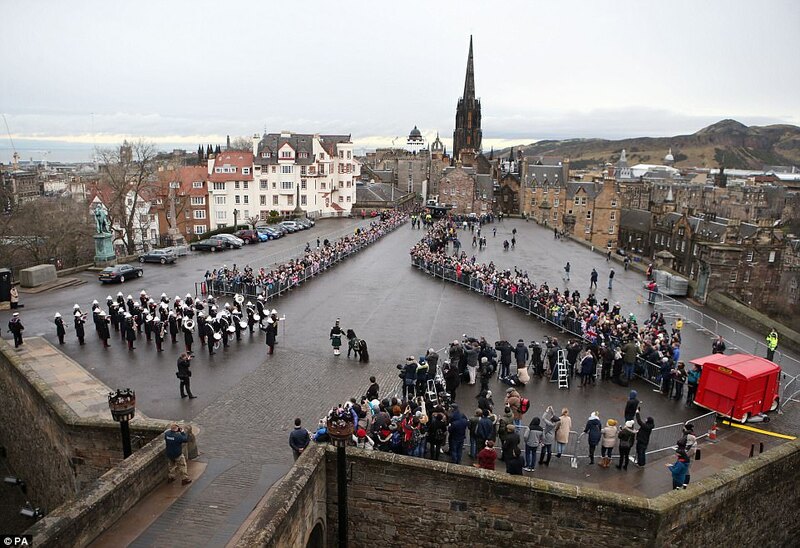 Crowds are stretched down the Royal Mile to Edinburgh Castle in freezing weather according to journos. There was icy sleet earlier. The Royal Scottish Regiment pony mascot which was drawn up waiting tried to nip Harry's hand to Meghan's amusement. As a gesture to Scotland and the regiment Meghan was wearing a coat in the same tartan and carried a handbag by an Edinburgh firm. I'm surprised there were any people at all actually. A poster on another forum said a couple of hours before Harry and Meghan arrived that conditions were absolutely icy and earlier there had been sleet which (as I can attest to having been in Scotland one January) cuts like a knife. The people waiting were troopers, so so good and some waited for hours. They cheered when the couple arrived and people waiting outside the cafe they visited also cheered. This is indeed a sensitive situation like Wills was referring to. I highly doubt it was about this unsuitable woman marrying in. What happens if the talks don’t go well or they postpone it until after this disastrous wedding that might very well take place to save the Commonwealth countries from leaving? Will they want Harry and his trolop to tour the commonwealth? This situation could be very bad for the royal family if not done right. She’s copying Victoria Beckham with her long trousers and monochrome look. Unfortunately for her, she looks bad unlike VB who just looks stupid and desperate. Baggy AND unhemmed. They both look like they just rolled out of bed and put on the clothes they found on the floor. Hilarious. And Meggles is a mess. Again. That hair. Her hair is worse than Kate's. This is an underwhelming couple. ^Yep. Low effort in appearance. Sloppy. Harry especially is quite scruffy. I don’t understand this at all. Surely they care how they are perceived despite photographic evidence to the contrary. Maybe they don’t care. Her hair is straggily, too. Makes no sense considering how important image is here. How long does it take to get pants hemmed? Come on. So bored with them. ^^her pants are a DISASTER! Or as Johnny Weir would say "absolutely dismal"
I live in Edinburgh and can attest to the fact it was a bitingly cold wind, as per usual in winter. And it was driving sleet this morning. It's not that warm in summer either. The wind comes either from the Arctic or The North Sea. And it might be that the people there were tourists visiting the castle and they roped off sections of the esplanade to prevent the crowd from moving and making it look like there's a crowd there to see them. And before I forget, Edinburgh is known as, amongst others, Windy City, just like Chicago. With all this emphasis on the homeless, the next series of articles should be the wedding being moved from the church at Windsor castle to a local registry office and the reception in the hall in the back, thereby not having to move the local homeless people or waste money that should go towards their housing on security. This tack fest just continues to roll on. The next stop might be Northern Ireland.